Groupthink is a phenomenon when a group of people get together and start to think collectively with one mind. The group is more concerned with maintaining unity than with objectively evaluating their situation, alternatives and options. The group, as a whole, tends to take irrational actions or overestimate their positions or moral rightness. Groupthink tends to occur in isolated groups, especially in groups with no clear rules for decision making and in groups where all of the people involved have similar backgrounds. It is destructive to effective thinking. A small country that is isolated from others and that is made up of people who want to believe that the country is a major world superpower. The country may eventually begin to think as a collective whole that they are more powerful than they are and may make a fatal mistake like going to war with a larger and more powerful nation. An isolated group of people from the same racial and ethnic background who do not know any people personally who are different from them. The group may come to distrust or even hate outsiders because they do not understand them and because they want to reinforce the moral superiority and unity of their own group. A group of people who very firmly believe in one particular limited political ideal and who only watch news that supports their ideal and who only associate with people who agree with them. The group may come to hate and distrust people who disagree with them and may come to overestimate their power and influence. A group of employees at a company with a product that is quickly becoming outdated who are unwilling to consider new alternatives to advance in the industry. The employees may collectively live in a world where they can't understand why their product is not selling and may refuse to acknowledge the economic reality that they cannot survive without advancing. Groupthink is not just an isolated concept or an abstract philosophy. There are some very real examples of groupthink that can show how destructive it can be to accept the ideas of a group without questioning. The Bay of Pigs invasion. An invasion was planned by the Eisenhower administration, but accepted by the Kennedy administration without question when they took over. The administration ignored questions and accepted stereotypes about the Cubans without questioning whether the Central Intelligence Agency information made sense. The bombing of Pearl Harbor. 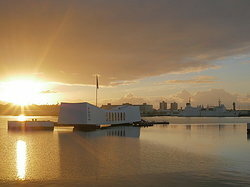 Many of the senior officers at Pearl Harbor did not take warnings from Washington DC about potential invasion seriously despite the fact that Japanese messages had been intercepted. Those who didn't take action believed that the Japanese wouldn't dare to attempt an assault against the U.S. because they would recognize the futility of war with the United States. The collapse of Swissair. The airline was once so financially solvent it was called the "Flying Bank." However, they began to believe they were invulnerable and as a result of failing to question poor decisions and gross mismanagement, the airline eventually went bankrupt. The mass resignation of the Major League Umpires Association. The members resigned in 1999 in an attempt to gain a stronger negotiating position. They overestimated the resolve and unity of their members and the strength of their position within major league baseball. As a result, their efforts were not effective. These are some real world examples of groupthink that demonstrate how people can lose sight of what is best for them when they all conform to the group's thought process and abandon their own critical reasoning skills. "Examples of Groupthink." YourDictionary, n.d. Web. 18 April 2019. <https://examples.yourdictionary.com/examples-of-groupthink.html>. Why Is Che Guevara Famous?